Toto Wolff reckons Michael Schumacher’s son Mick can achieve success in Formula 1, “maybe” even with Mercedes. Last year’s McLaren Autosport BRDC Award winner and double Macau Grand Prix victor Dan Ticktum has won the National Driver of the Year award at the 2018 Autosport Awards. Mick Schumacher's surge to the European Formula 3 title was astonishing, but it came with question marks that made judging the 2018 field difficult - though it didn't obscure the presence of a 'new Keke Rosberg'. 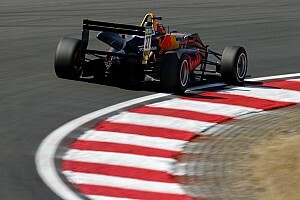 Standout European Formula 3 rookie Juri Vips is set to join the Red Bull Junior programme, Motorsport.com has learned. Leading Formula 3 European Championship team Motopark says it is baffled not to be awarded a place in next year’s new Formula 1-supporting F3 series. Jehan Daruvala secured a best result of fourth in the European F3 title decider at Hockenheim to end the season 10th in the drivers’ championship. 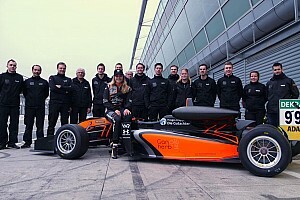 DTM chief Gerhard Berger says Mick Schumacher reminds him of his father Michael in many ways, and believes Mick can make it to Formula 1 if he continues to show the form that took him to the European F3 title. 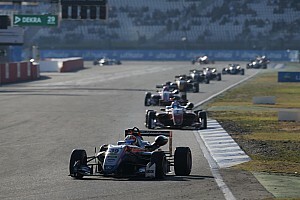 Ferrari junior Robert Shwartzman crushed the opposition in the last-ever Formula 3 European Championship race at Hockenheim. Mick Schumacher has said that he is living the dream after wrapping up the Formula 3 European Championship in the second race of the Hockenheim finale. Mick Schumacher was crowned the Formula 3 European champion after finishing second to a dominant Juri Vips in the second race of the series finale at Hockenheim. Ferrari junior Guan Yu Zhou won the first race of the Formula 3 European Championship finale at Hockenheim, as Mick Schumacher’s coronation was put on hold by a first-lap collision.